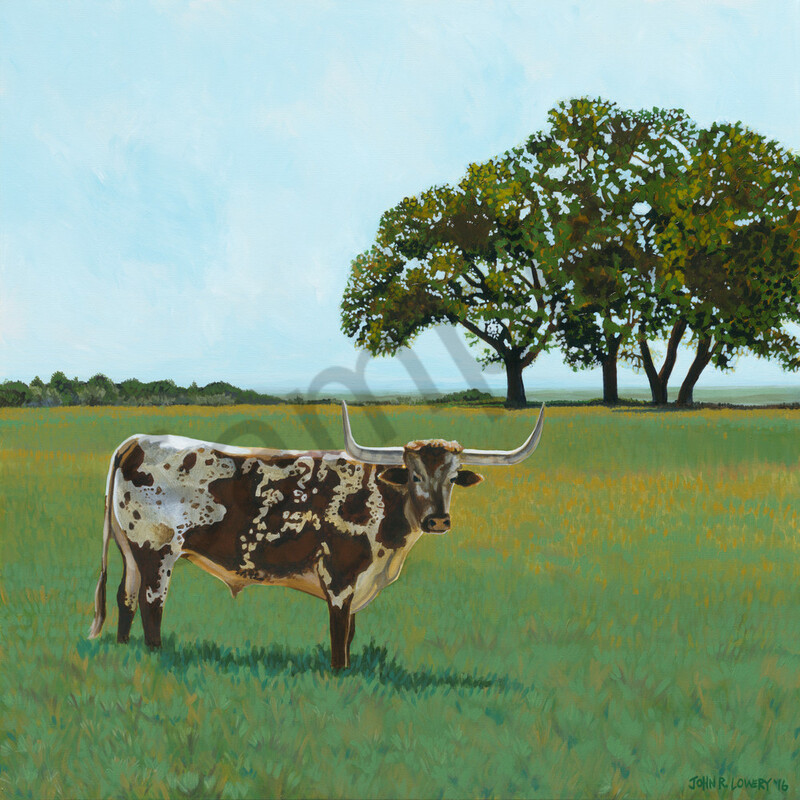 Oak tree and longhorn landscape paintings by John R. Lowery, sold as art prints..
Not just another longhorn. Check out the complicated hide pattern. That is what I find so cool about these guys – each one is unique. Original Painting is available at the Studio in Round Top. For information, please contact john@humbledonkeystudio.com.